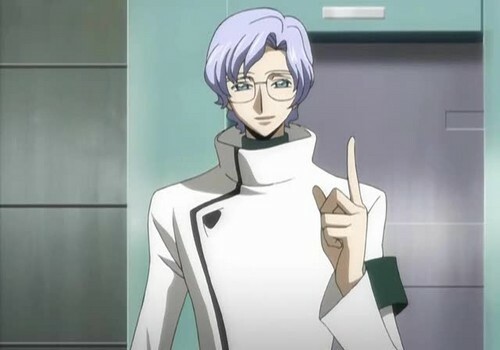 Lloyd Asplund The Earl of Puding <3. . Wallpaper and background images in the Code Geass club tagged: code geass lloyd asplund silver hair white hair light blue hair glasses cute man.